Today is the third part of what I believe will be a four (could be five) part series interview with Lucinda. She has been helping people gain better health naturally for over 40 years. She is a Torah Keeper who believes in healing through obedience to the Torah and cleaning out our Temples (bodies) naturally from all of the past toxins, poisons and unclean foods we have put into them and then moving forward in obedience to our Creator and King. Lots of great information in this interview! 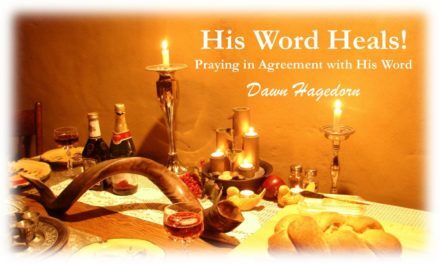 You can visit our website at www.hiswordheals.com to download the complete interview for free to share with your friends and loved ones! You can also visit our website at www.hiswordheals.com FOR A FREE KINDLE DOWNLOAD OF THE BOOK ‘IF GOD CAN HEAL HIS PEOPLE, WHY IS THE CHURCH SO SICK?’ AS WELL AS A FREE MP3 DOWNLOAD of our CD called ‘HIS WORD HEALS!’ This CD is one hour of HEALING and other SCRIPTURES SET TO MUSIC CD (including ‘Praise’, ‘Healing’, ‘Psalms 91’, ‘Fear Not’ & ‘Strength’ scriptures). You will be able to listen to all future shows on Hebrew Nation Radio Mondays at 1:30pm Pacific Time live and then the podcast will be available for free download on HNR for 1 week following each program. After 1 week, you can subscribe to the “Lifestyles – Living” Channel on HNR to listen to or download all of the archived programs or visit our website www.HisWordHeals.com as well to download all of our past shows. If you are being blessed by Hebrew Nation Radio please show your support by subscribing to their channels or by an online donation :-). His Word Heals! This week’s prayer and entire program builds upon the foundation we have laid in the preceding programs just like His Word… precept upon precept, line upon line. We will continue praying together in agreement with YHWH’s Word. Please join me each week so that we can pray in unity as a body for Y’shua’s body of believers and especially for Healing for all of His people and for His Coming Kingdom!